Nothing says Christmas to me quite like the Grinch! Ever since I was a girl that grumpy green guy has always made my heart grow-in-size at Christmas time! 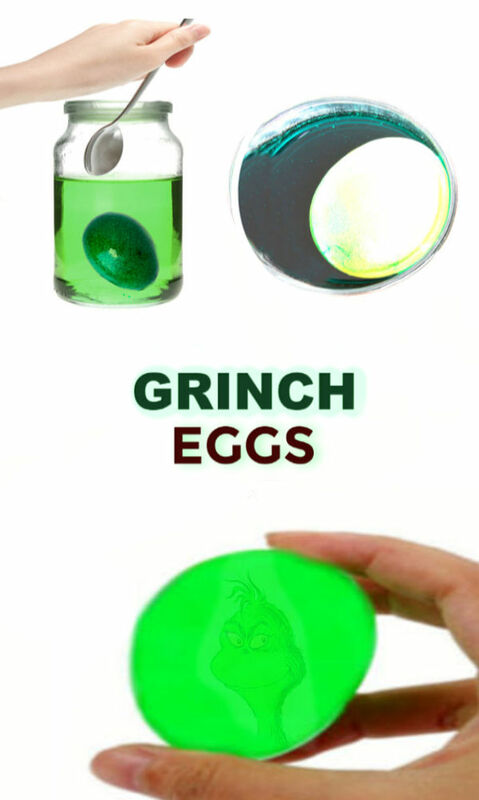 Today, we decided to extend the fun of one of our favorite holiday movies & make GRINCH eggs. 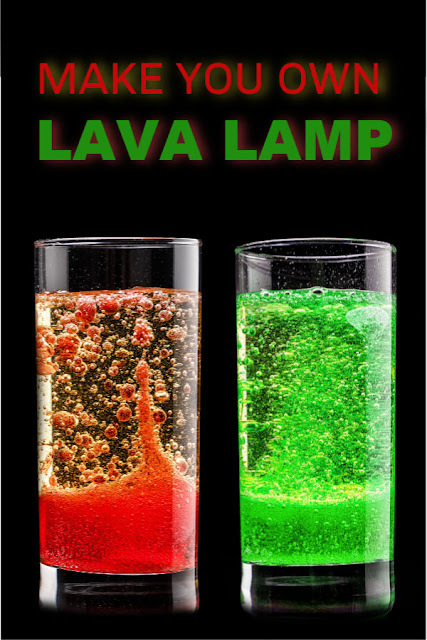 This is a fun holiday twist on one of our favorite science experiments. Why is it a favorite? Hello, it's mostly magic! That sneaky GRINCH. He stole the eggshells right off of our eggs! He is so mischievous & naughty. He dyed them green, too! 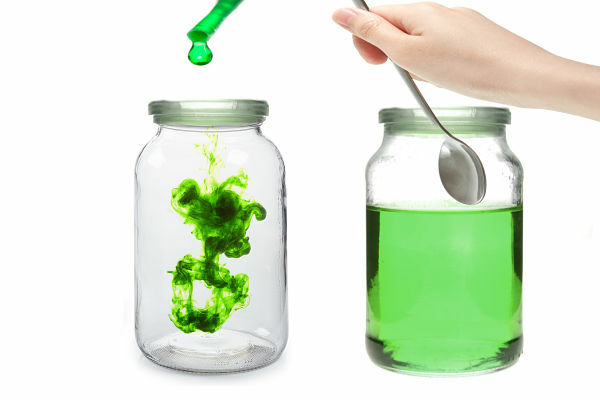 Hehehe, pair this silly bit of science with a few Grinch crafts or the Grinch movie, and you are sure to have a fun-filled evening! 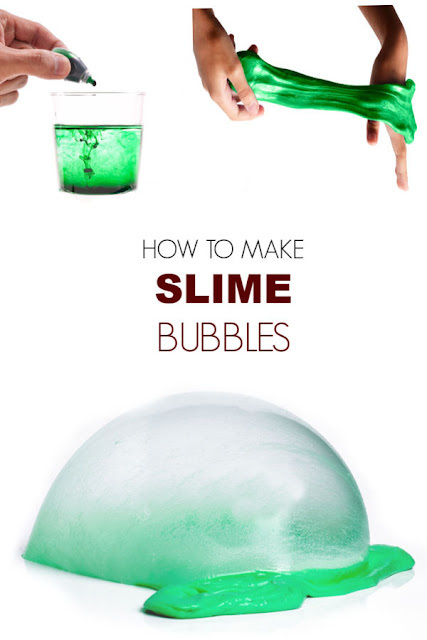 They are silly, slimy, & ultra fun! 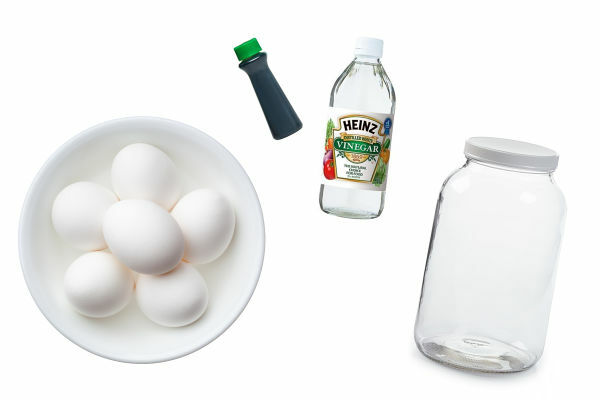 Begin by filling a jar or container with vinegar, ensuring that the container is deep enough for the eggs to be fully submerged. 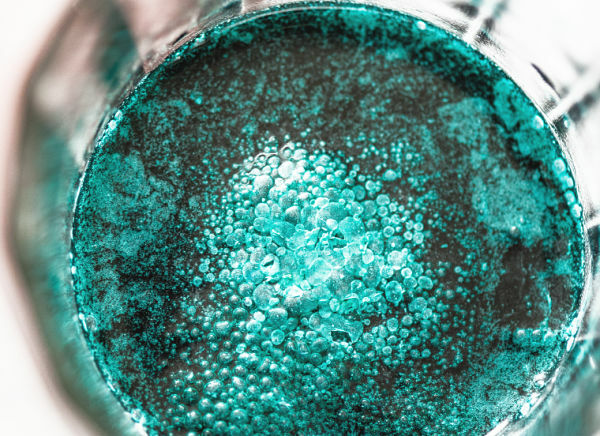 Add several drops of green food coloring & stir until combined. 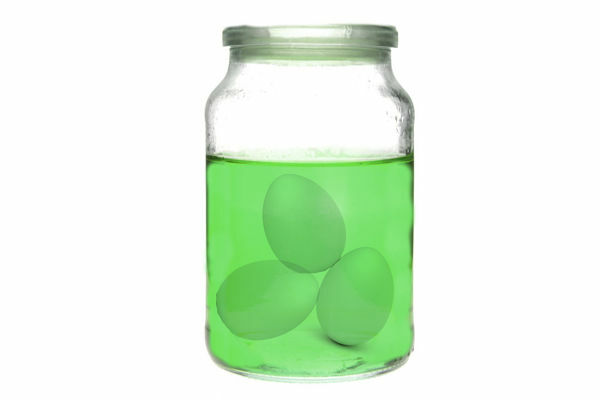 Now, carefully place the desired amount of eggs into the jar. 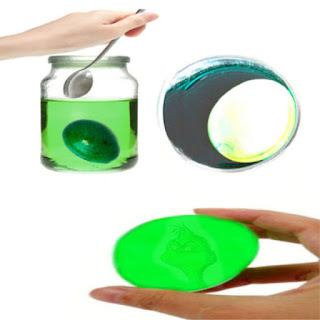 You can make one GRINCH EGG at a time or several. Have kids visit the jar often over the next several days, making note of any changes that they observe. Day 1: Th eggs looked as though they were changing color. They were also bubbling on the surface? We wondered why. 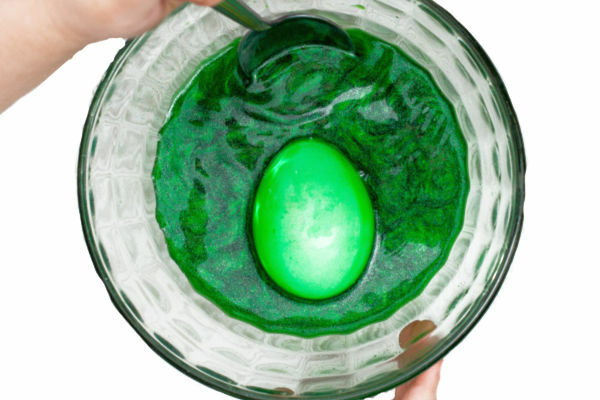 Day 2: The eggs looked Grinch green all the way through. But was there more going on?? The eggs were green all the way to the yolks! The eggshells had completely disappeared from the eggs! To see this even better we used a flashlight. 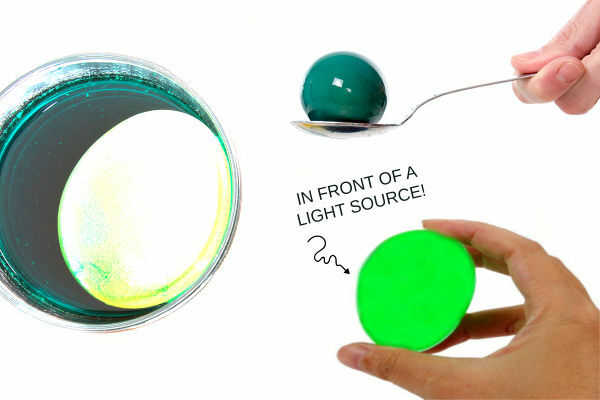 Place the egg(s) directly on top of the flashlight to see all the way through your egg! Rosie & Jewel were truly WOWED and couldn't believe the "magic" that had happened right before their eyes! 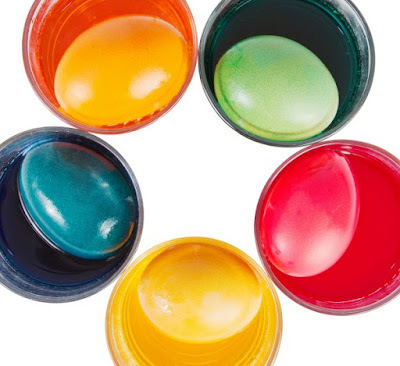 Why do the eggshells dissolve? Why do the eggs bubble up during day 2? How does the egg stay in tact without a shell? Naked Eggs- Why the Shells Dissolve? 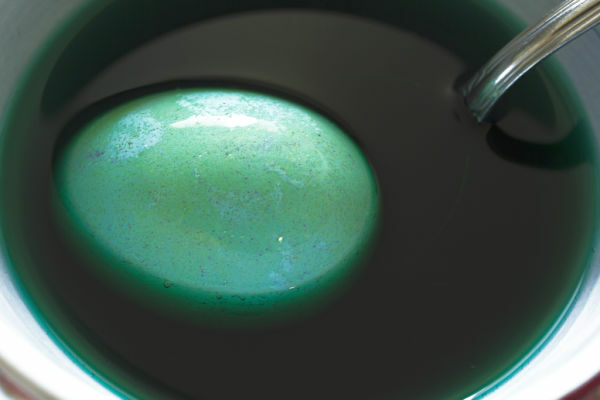 Why does an eggs shell disappear when placed in vinegar?